Home » Reports » Mixed Messages: The current state of teen pregnancy prevention in Travis County, TX. Brazeal, J., Marra, L., McKerlie, K. & Faulkner, M. (2015). 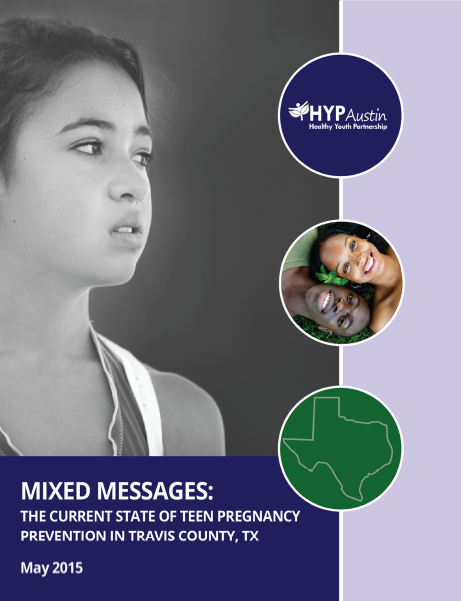 Mixed Messages: The current state of teen pregnancy prevention in Travis County, TX. Austin, TX: The Healthy Youth Partnership, Child & Family Research Institute.